First aid campaigns and projects of our members | SAMARITAN INTERNATIONAL e.V. Our Year of First Aid 2014 – Heroes without superpowers – builds upon the successful first aid advocacy of our member organisations. In the following, we present a few of these projects and campaigns. Further members’ activities in first aid will be added over the course of the SAM.I. Year of First Aid 2014. 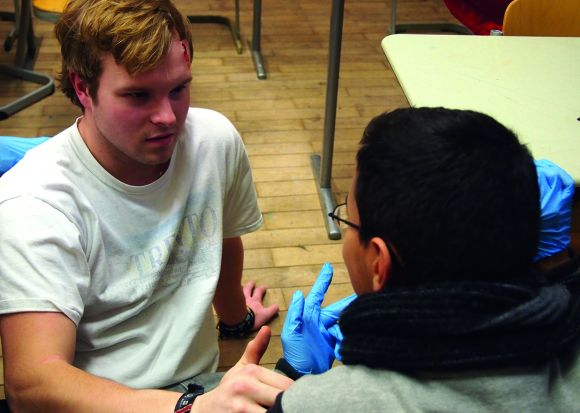 ASB has several first aid projects that specifically target young people. 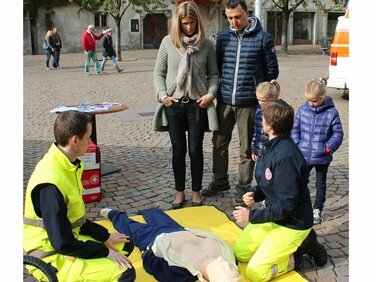 For instance Junior First Responder, which is a continuous programme implemented by ASB Bad Windsheim. It aims not only to train youth in first aid, but also to make them multipliers for civic commitment and responsibility. The programme has its roots in school paramedical services. First aid training with the “intercultural Samaritans” (Photo: J. Grabowski / ASB Berlin)Another project is Samariter Interkulturell (SamIn), with wich ASB Berlin aims to convey first aid skills to young people from migrant families. While there is of course a focus on first aid and civic engagement, another equally focused topic are questions of intercultural sensibilities when administering first aid. A guideline document on this has been developed in the course of the project. SamIn was among the winners of the 2013 “Helping Hand” awards. The campaign “help needs helpers” could be seen in many places in Vienna in November 2013. It promoted voluntary commitment and to learn first aid skills. As Dr. Siegfried Sellitsch, president of the Samaritans Vienna put it: “We need helpers, because without them there would be no help, be it in care, paramedical or social services”. Details on the campaign are available on ASBÖ’s Website. The White Cross conducted its campaign “Mit wenigen Handgriffen Leben retten” (a few simple actions to save lives) in October 2013. The goal was to take away the anxiety many potential first aiders experience when they have to provide first aid measures. More than 4,000 South Tyroleans visited the information stands in more than 100 South Tyrolean municipalities. The stands did not only provide information but also allowed visitors to directly participate in practical exercises.